Home / News / Opinion / Host and entrepreneur not affected by "stupid god" comment, "because I know He is not"
Host and entrepreneur not affected by "stupid god" comment, "because I know He is not"
DzMM Radyo Negosyo host and multi-awarded entrepreneur Dr. 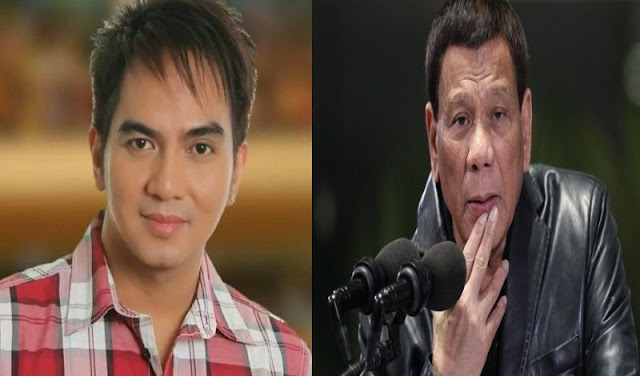 Car E. Balita in his Facebook page, said that he is not affected by a statement calling God stupid, after President Rodrigo Duterte said such words in his tirades against the Catholic church. Balita, who also holds government office as chairman emeritus of PCCI Quezon city and national Chairman for Human Resource of Phil Chamber of Commerce and Industry, said that he knows that God is not supid, thus the remarks does not affect him. "I am not affected by a statement (or question) re God being stupid. Why? Because I know He is not. I am sure. Whatever is said by whoever does not matter because my faith is not anchored on my religion. My faith rests upon my relationship with My God." Balita's statements came after President Rodrigo Duterte got into a feud with the catholic church, calling their God "stupid", after he read out portions of the creation story. Duterte has been unto the catholic church after claiming that he was molested by a priest and a child. He has spoken against pedophilia, sexual abuse and corruption in the most influential institution in the country. Many have criticized the President's statements calling them "blasphemous" and "disrespectful". Meanwhile, Duterte himself has answered the criticisms and demands for apologies from the church, and said that he was never going to apologize for his words. As for Balita, he said that God needs no defense from the statements. "His omnipotenece does not require me to even defend Him. He defends me.His omnipreaence does not require me to prove his existence. He is in ME," he said.